Fans were only too happy to invite her into their homes to see their artifacts, often gathered at some expense. 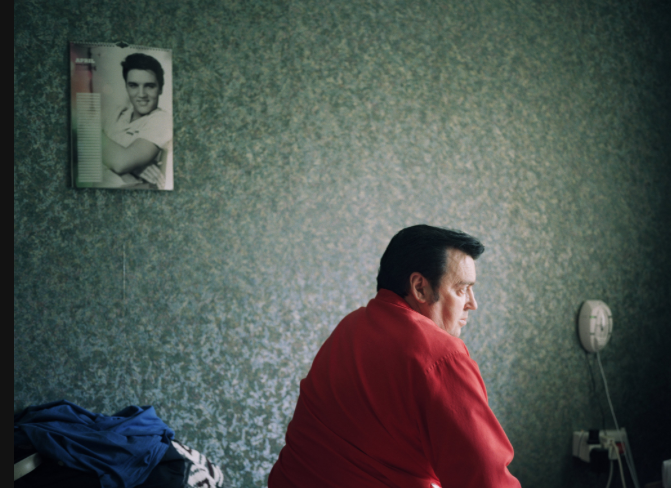 In lives buffeted by the four winds, Elvis provided a direction and sense of possibility. In her photos, taken in South Wales, the subjects wear their dreams quietly, but in defiance of whatever mundane concerns shape their lives. Escape isn’t easy – for most people, it isn’t even possible. But faith takes strength as much from setbacks as from triumphs. To read the entire story, click HERE.